As every first responder eventually learns, preparedness saves lives. Mass casualty incidents (MCIs) are increasingly common, with more than 14,000 such events documented in EMS databases in the 2010 National EMS Database of the National Emergency Medical Services Information System (NEMSIS). Your MCI trailer must be prepared with all of the portable suction tools you’ll need to save lives in the event the unthinkable happens. In the rush to respond, there won’t be time to test equipment, replace batteries, or look for missing catheters. Prepare now so you can save lives later. What has been the largest mass casualty your agency has served? How large is your agency? How many first responders does your agency employ? What are the biggest risks facing your region? What do your analytics suggest would be the likely size of a mass casualty event? Err on the side of having too many suction units available, because a shortage in a crisis could lead to needless deaths. It doesn’t matter how many units you have if those units don’t work. 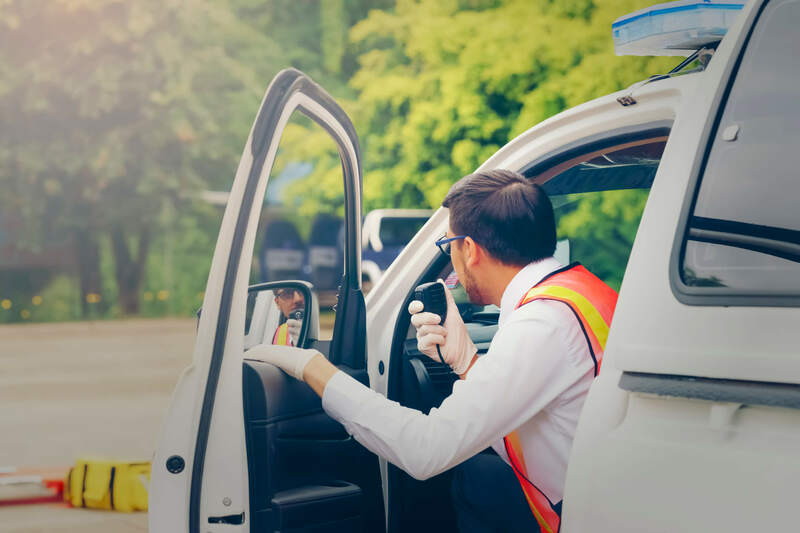 Mass casualty preparation requires daily testing of each unit to ensure it is functional, not displaying any warning lights, and that the batteries are fully charged. Mass casualties may involve natural disasters or situations in which there is no alternative source of power. 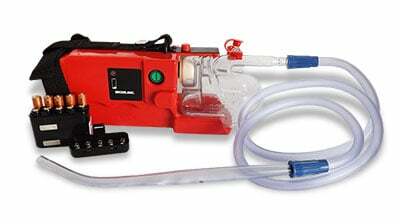 For this reason, it’s wise to invest in portable suction units that can run on battery power. Select those that boast a long battery life, and keep extra batteries available. 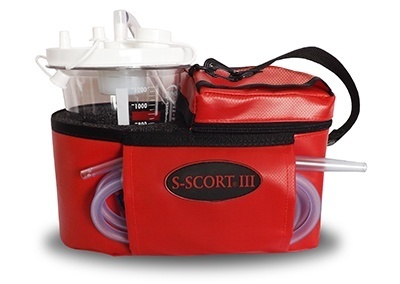 Additional power sources should be easily accessible and stored along with the portable suction device they power. The capabilities of your trailer are an important consideration when deciding on the right suction unit and assessing which supplies you’ll need. Does the trailer offer a power supply? If so, how many units can be powered or charged at once? 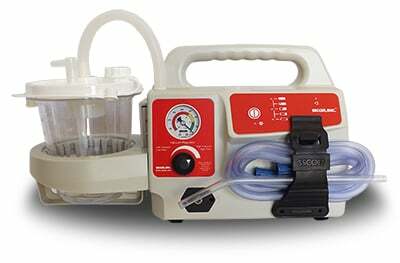 If there’s no power source available, a battery-powered portable suction unit with a long life, or one that operates on easily accessible replaceable batteries is a nonnegotiable. The number of first responders you have available is the upper limit of how many people you can attend to at once. 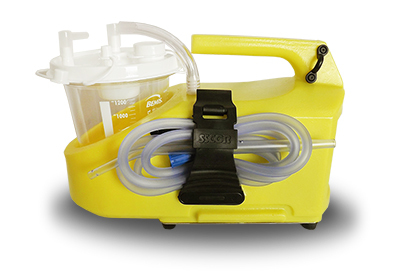 As a practical matter, however, the number of accessories available for your portable suction unit can also be a limiting factor. It’s not enough to have numerous units ready. You must also have abundant accessories, including catheters and other disposables. 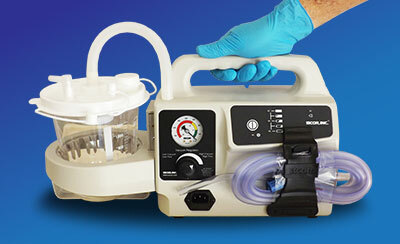 Maintain equipment in a variety of sizes, and store accessories with each portable suction unit. 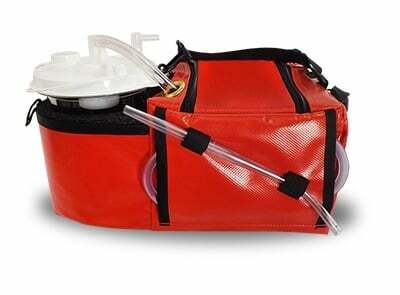 A good rule of thumb is to have three to five accessories—or three to five of each size, when size is a factor—stored with each portable suction unit. Don’t forget basic hygiene supplies such as masks and gloves. In a mass casualty incident, avoiding cross-contamination becomes even more important and difficult than usual. Note that mass casualties increasingly involve special populations. Children targeted in a school shooting or nursing home residents involved in a natural disaster require special accommodations. Having a variety of catheter sizes is especially important when working with the most vulnerable. Consider also packing some non-medical supplies to help ease anxious minds. Teddy bears, blankets, books, and music can prevent panic, which can protect the health and well-being of the most fragile disaster survivors. MCIs are inherently chaotic and may occur in unstable environments. No amount of reading about preparedness is sufficient. Instead, agencies must conduct regular trainings that teach the skills necessary to save lives in the event of a mass casualty. No matter what is stored in the trailer, when a first responder panics or does not know how to deal with an evolving situation, people may die. Simulate MCIs in training sessions. 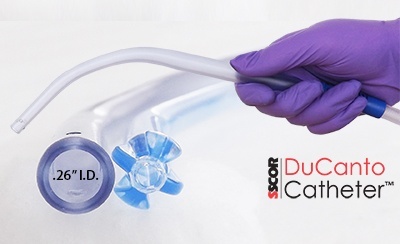 Focus on cultivating calm, assessing the situation, and skillfully administering suction in a high stakes environment. You can count on a degradation of your team’s skill level during a crisis, so it’s important that all members display high skill and immense attention to detail. No amount of training is too much, and the right equipment is no substitute for the right skill set. 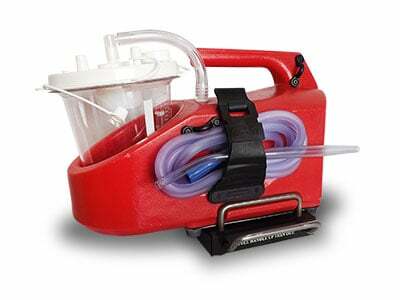 The right portable suction equipment is more than just another purchase. It’s a way to save lives. To assess your own needs and make the right choice, read our Ultimate Guide to Purchasing a Portable Suction Device.